WordPress Update - Is it necessary and important to update wordpress blog? 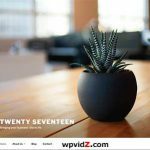 wpvidZ Blog Version Updates WordPress Update – Is it necessary and important to update wordpress blog? 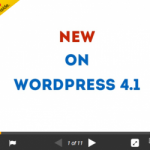 WordPress Update – Is it necessary and important to update wordpress blog? WordPress update sounds very important, and I do think it is important too. But after I got a post.php wp-admin error, that I could not write or edit my post, because that ended in a 404 error page. Personally, when I log in to my dashboard, and when I see a line of sentence, with its yellow background, saying, “WordPress X is available! Please update now.” I was one side happy, but in another side, thinking “oh no, not again!”.. So far, I have never had some difficulties, issues or problems whenever updating this blog. But since hundreds of wordpress blog owners got some issues after updating their blogs (if you have problems after wordpress upgrade), I have fear feeling too whenever I see wordpress update now message. 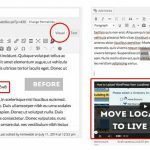 Another post which is related to this wordpress update post, is my “upgrade wordpress tutorial” that basically very simple. As I mentioned in the first paragraph above, I have a good reason why I do backup my database first, before upgrading my blog to the newest version. My reason is, if something happens, in the worst case, I can still restore my blog. (related video: backup and restore wordpress). I thought everyone is really saving their blogs files and databases, but I guess I was wrong. My client even did not have any single database backup, and I am sure she is not the only one. Having a database back-up can be achieved automatically without work too by using a plugin, which I wrote in backup database plugin post. Using that plugin will send your blog database back-up in a specific period to your email address, or downloading to your computer, which can be easily scheduled. WordPress Update – Why updating wordpress is important or necessary? As most of us know, WordPress has so many older versions before the most recent version is released. This means, people who have “bad itention” such as hacking, they are familiar with older wp version files. If a big company, like Microsoft software can be nulled or cracked by some people, imagine about wordpress, they can do it easily too! This is why, Wp has developers team that including security developers, that always try to improve the security holes of older WP with the newer files to help hardening WordPress. 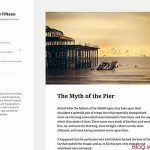 For this reason doing a wordpress update is necessary, because after a wordpress update your blog files will be harder to “hack” compared if you still have the old files. 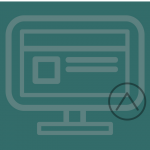 Although there are many ups and down after doing a wordpress update, but mostly can be solved by deactivating all plugins you use which can conflict with the newest wp files. I also recommend only use the important plugins in your blog, and look which plugins are updated by its developers regularly, this way, you can ensure yourself that those plugins are always up to date with the newest WP version. To me, wordpress update is necessary and important. 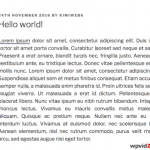 → WordPress 3.2 Release Date – When? There is no doubt. We can’t ignore updating WordPress. There is no meaning to welcome heards of problems later. Though it is always advisable to backup database, I also often skip – very bad habit. But in my case, if anything wrong happens (that never happened till now), I can request my host to restore my site to previous state. Lucky me, ain’t I? Yes, lucky you, I have tried many hosts but a few of them are not that helpful..
Not only is backing up your blog essential, but also backing up your other websites and files on you computer. If anything were to happen you will be safe. You said it right when it comes to backing up your blog, do it! The more you don’t back up your blog the more open you become to hackers. me tooo think wordpress updation is very much necessary..